This venue is permanently closed and no longer trading. When you think about an afternoon drive to the Dandenong Ranges the old standbys come to mind. Miss Marples Tea Room, if you can stand the wait (they don't take bookings). Or perhaps the buffet at The Cuckoo, with its yodelling, thigh slapping and gorging which will have you rolling down the hill home. 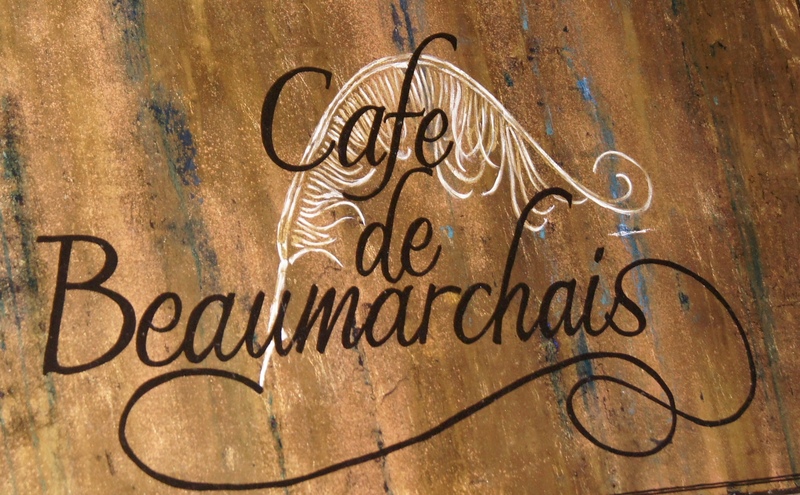 Then there's Cafe de Beaumarchais a neat, sophisticated low slung cafe in Sassafras. Cafe de Beaumarchais is only a few doors down from the touristy Miss Marples but it could easily be overlooked. We shot past it. So look out for the large French tricolour flag brandishing over the doorway-- fluttering like the flag in Liberty Leading the People Delacroix's famous painting of the French Revolution. And this People is where you are going to find some liberating cuisine. Enjoy French baguettes with gourmet fillings, stunning charcuterie and cheese platters loaded with local Yarra Valley produce and French quiches to die for. But for those who already know the Hills this French inspired cafe is not new as it opened in 2010. What is new -- is that since mid-last year manager, Mark Sadler, has introduced bohemian high teas. And we had decided to to tantalise our tastebuds with one. What you might ask is a bohemian high tea? I wondered the same thing until I arrived. But the moment you walk in the atmosphere says it all. This is chic boho, a little slice of Paris. There is intimate seating at little round tables with wood chairs. It's so bohemian you feel as if Ernest Hemingway, Gertrude Stein or Picasso might burst in at any moment and start arguing with you about art, love and life. The subdued atmosphere created by the long narrow space, black walls and narrow wooden floor boards, means the smallest amount of light radiates like a halo. Sunlight filters through the slats on the windows and there is the rich burnished tones from the gilded mirrors, rich wallpapers, wall lamps and overhanging chandeliers. 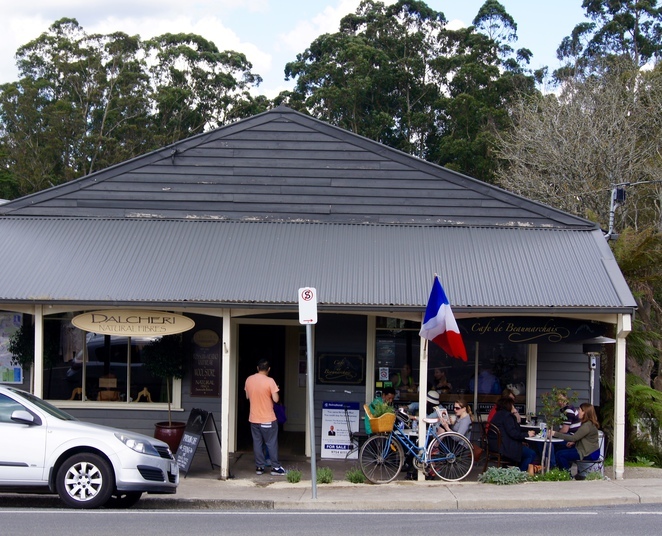 Owners Neil and Lisa Harvey are Francophiles and wanted to bring Parisian street cafe culture to the hills of Melbourne. 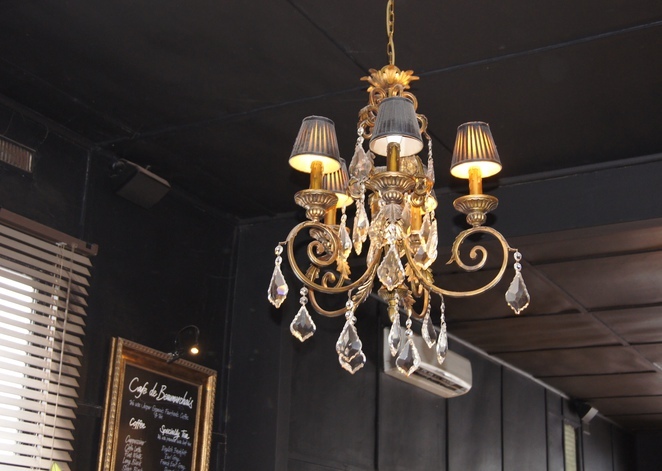 Having travelled in Europe on several occasions the owners had fallen in love with the feel, décor and cuisine of some of their favourite Parisian café's and patisseries. In bringing Paris to Sassafras it greatly helped that Lisa Harvey was an interior designer and painter. 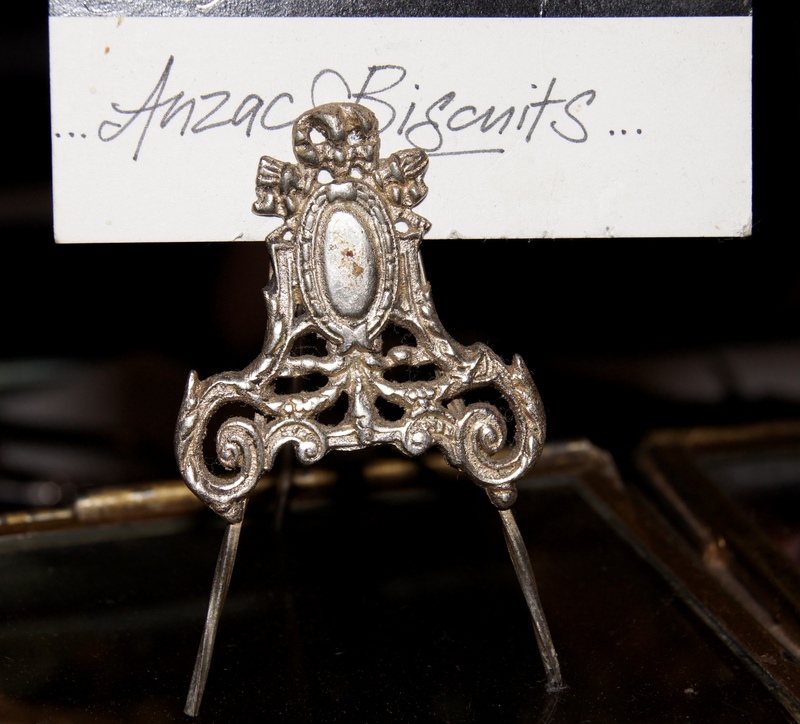 Her Pininterest board on the decorating of Cafe de Beaumarchais is here and shows wonderfully in images where my words fall short. My coffee, the first for the day, was like a bolt from the blue. Cafe de Beaumarchais serves seriously good free-trade Jasper coffee. I was not surprised to learn that even the rightly fussy coffee seekers on beanhunter.com are unstinting in their praise. My companion had an equally seriously good thick, dark and rich Parisian hot chocolate made from pure melted chocolate. 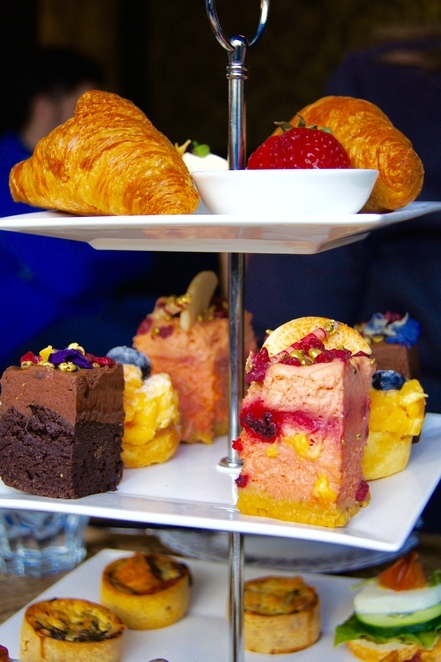 Then came our three tiered bohemian high tea. 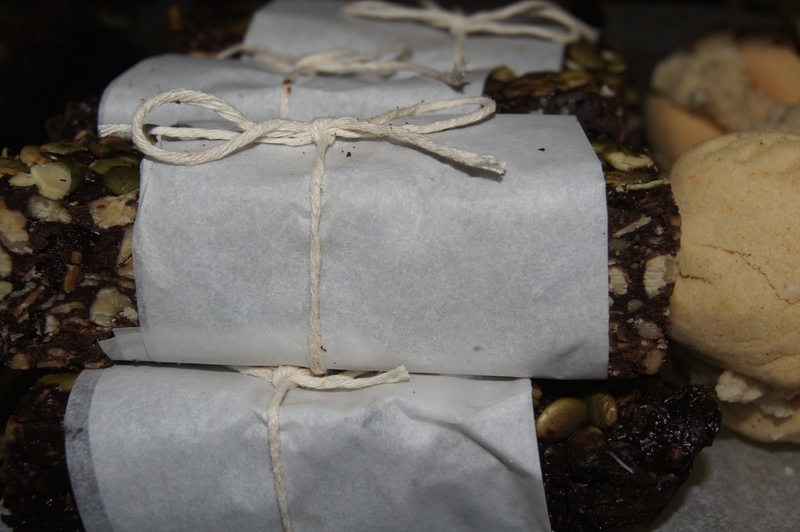 On the bottom layer were delectable savouries made with exquisite pastry. There were dainty quiches o ingredients such as free range eggs and smoked bacon, caramelised onion and herbs. Slices of tart were filled with slow roasted pumpkin, roasted red capsicum, Yarra Valley Dairy feta and studs of black olives. Slices of baguettes were crowned with buffalo mozzarella, avocado, tomato, cucumber and basil pesto, and another had smoked salmon, cream cheese and capers. 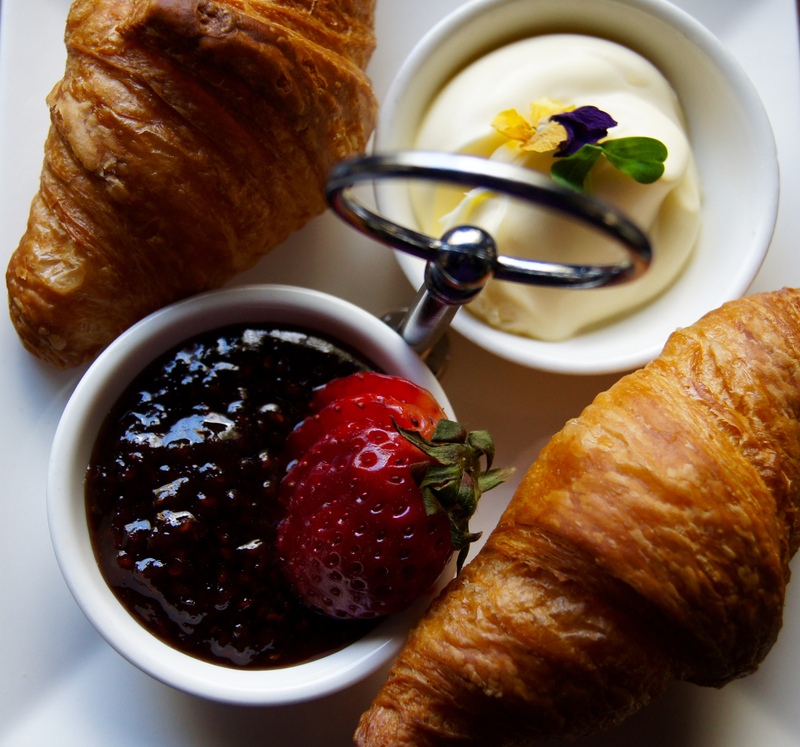 In a bohemian twist on the hill's ubiquitous Devonshire teas that feature scones, Cafe de Beaumarchais serves buttery golden- brown, baby croissants with lush fruit-filled local jam and a dream of cream to dollop on top. Then the final layer. Let's call it Cakesville, the died and gone to heaven layer. 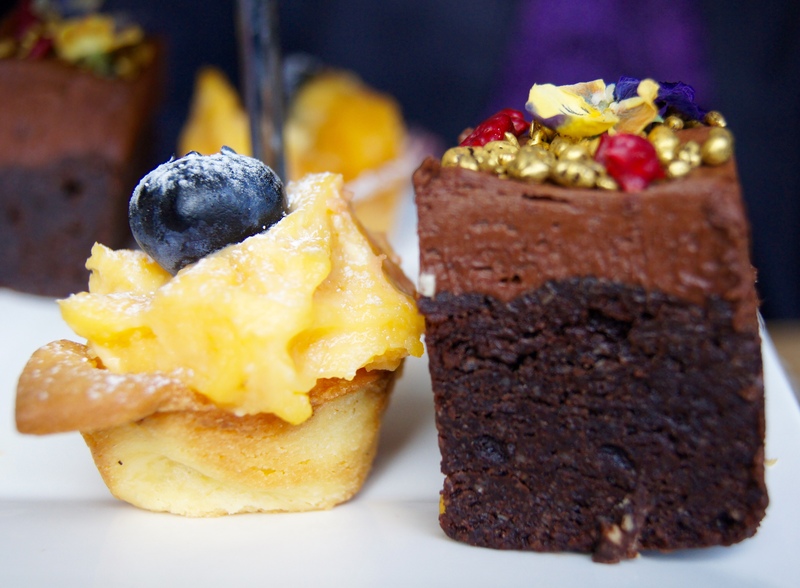 You can choose three cakes to share. These can be selected from the gleaming European-style glass cabinet which is so long and full of choices it had to be specially constructed to hold all its bounty. 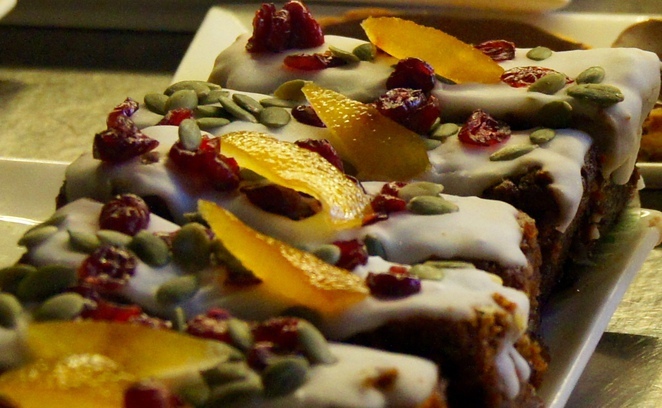 All cakes are made by a locally based patisserie chef Charmaine Goodacre. Her cakes are not dainty or fussy but large slabs of delight in a range of colourful hues and enticing flavours. While the size is hefty (you definitely need to share a slice) the decorations on top are petite and eye-popping. 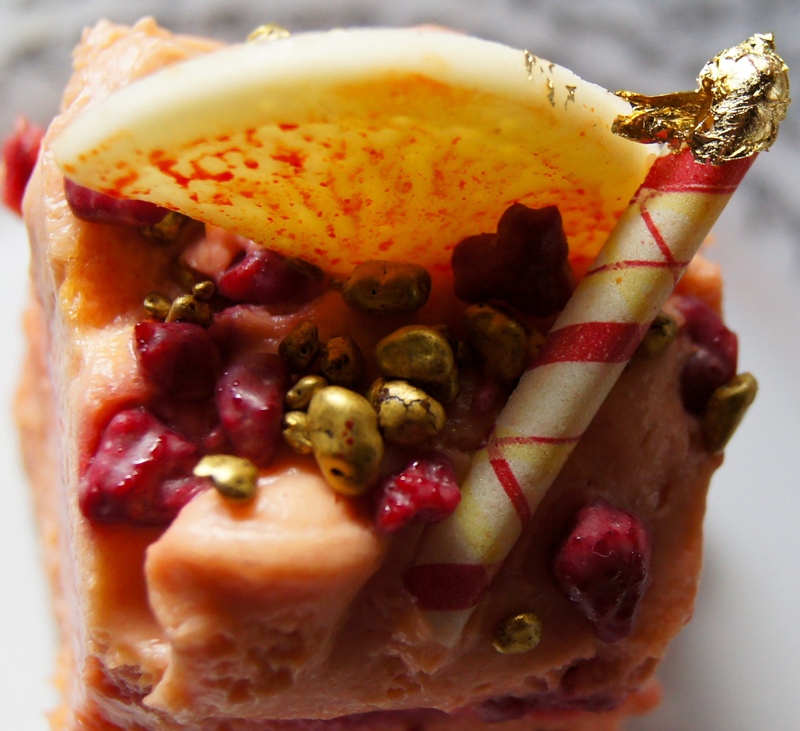 Many are decorated with edible but real gold leaf. Eureka! It is like discovering gold nuggets except you can eat these ones. A doubly rich experience. Other decorations included striped white chocolate scrolls, freeze-dried petite violets and bright berries obviously chosen for their gigantic size. One blueberry I encountered sat like a pompous crown on my citrus tart. Around three quarters of the cakes are gluten free so this would be paradise for those who are often denied their right to a fine high tea. There was even a vegan choice that looked really tempting. Some of the cake choices included carrot and muscatel, Sicilian apple, pear and Medjool date, Lindt chocolate mousse fudge, lemon curd cheesecake and raspberry with Lindt white chocolate. Our favourite was a Blood Orange cake (GF). The texture was bubbly like a light mousse but when it hit the palate there was a magical citrus fizz. Would I drive back just for another cake like that one? Yes I would. 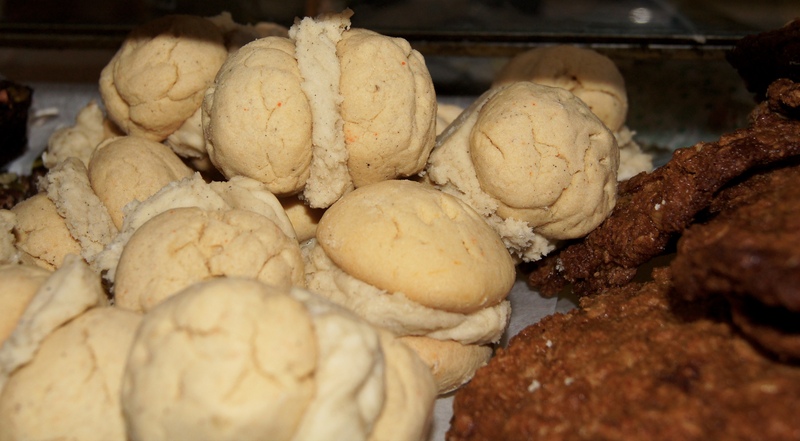 The huge Anzac cookies looked like Salvador Dali's melting clocks because they they slumped with goodness while the yo yo's were so fat in the midriff it felt like one should pull out a tape measure. Cafe de Beaumarchais is about having a memorable and indulgent time of it and for most of us with our increasingly scant diet of removing all the so called things that are bad for us, it makes a nice change to have a wholesome treat. Yes the food is rich, but all the ingredients are wholesome and how often do you head for the hills? My only proviso for this would be to book, especially on weekends as Cafe de Beaumarchais deservedly gets busy and make sure you set off on one of the aforementioned hills for a gorgeous walk afterwards. Well, having read this, I'm now drooling... I have been meaning to try this cafe for a while - you have more than convinced me. Have been going here for a number of years and it never fails to impress. It's a real gem. And now the secret is out. Have been here for lunch about a year ago. 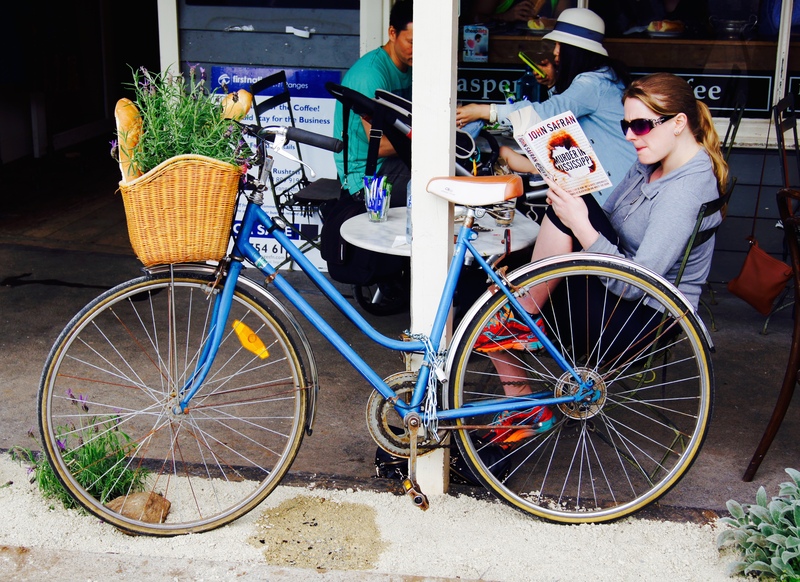 It definitely transported back to a little French cafe beside the Seine! Lovely atmosphere and food. Worth the visit just for the atmosphere. 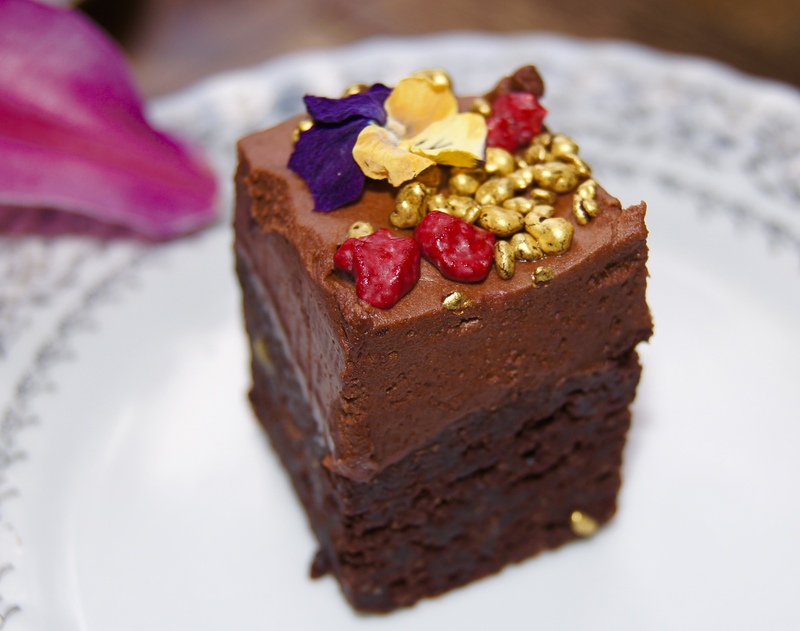 The cakes look more like jewellery than food though. Been going there since the day it opened. Never disappointing. I bought 3 lovely paintings from the walls. Cakes and coffee to die for. Great service, very good prices. This days I avoid Sassafras on a weekend. If that's what you got go before noon. 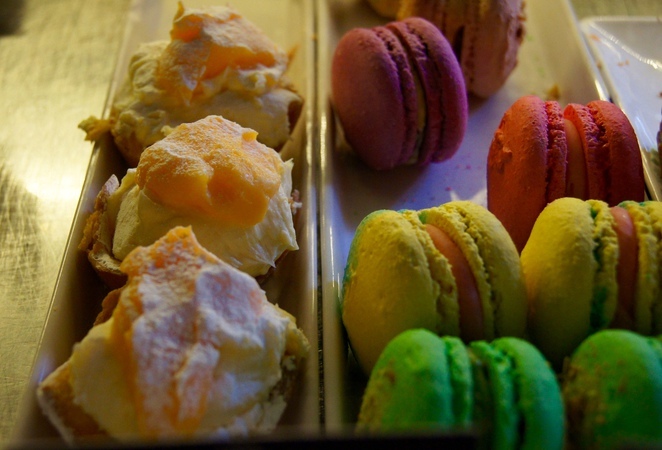 My favourite cafe for French indulgence. So happy I'm now a local.